The deal is valid today through December 1st, so you don't have to move right now, but supplies are limited. 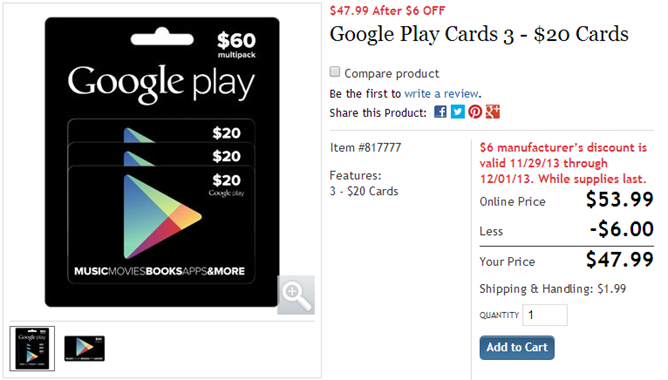 The three $20 cards are sold as a single item with $1.99 shipping. If you're not a Costco member, you also have to pay a small service fee. In that event, the deal can be had for a total of $52.68 after shipping. You'll save a little over $7 at the end of the day, which isn't bad.